Colette in Paris, Corso Como 10 in Milan… and now finally Zurich will get its own concept store. 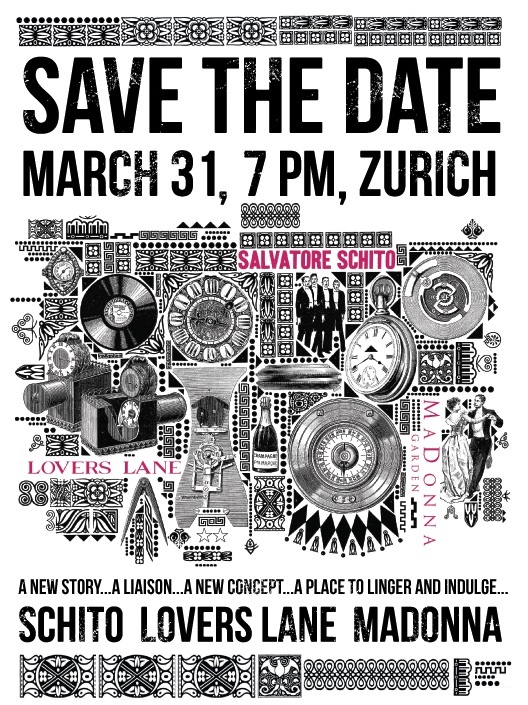 Salvatore Schito, the renowned fashion house is presenting a shop in shop together with Lovers Lane, the place to go for the best shoes and bags in town. The beautiful courtyard will be hosted during spring, summer and early fall by MaDonna Ristorante. So the perfect place to park your hubby while you discover the newest fashion must-haves in the stylish shop, situated In Gassen 14, in the heart of Zurich. Mark your calendars and this is not an April fool’s on April 1st when the doors will officially open!